A natural handmade soap, so good for your skin. A Western Australian company who have been hand making natural soap and body products for over fifteen years. We pride ourselves on making natural products that don't contain harmful chemical ingredients. 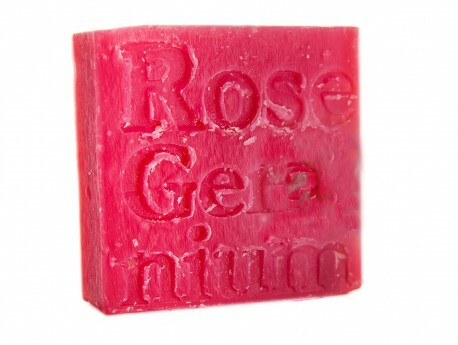 Rose Geranium is suitable for mature and sensitive skin. The oil is used in a range of conditions from hormonal imbalances to eczema and dermatitis. Rose Geranium is used in many expensive perfumes because of its strong enduring scent and often used as a close substitute for Rose oil.